Place the orange protective eyewear on patients prior to use. This not only protects the patient but makes them aware that something special is being used to check for lesions. The darker the room the better. 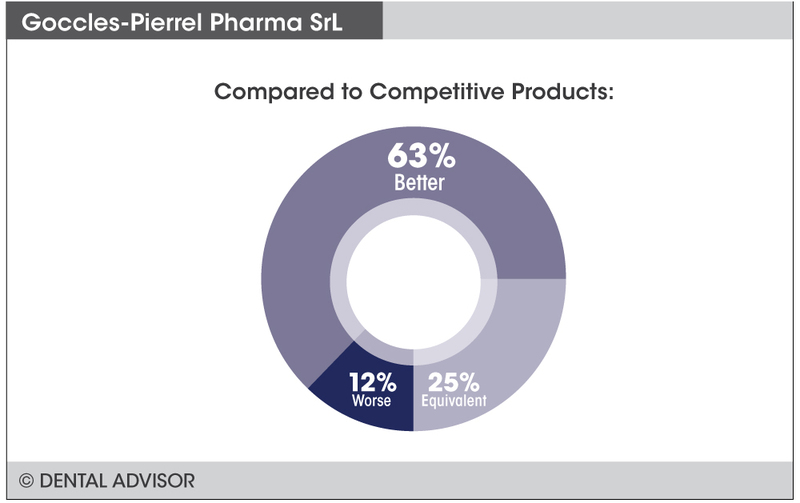 Be sure to explain to patients how Goccles helps you. Have an assistant or hygienist hold the tongue out as you shine the light on the tissue. Make sure you use the head strap as the lenses are heavy. The ear piece of the eyewear can also be adjusted to fit the glasses closer to the head and curved around the ear to hold them onto the face when looking down. 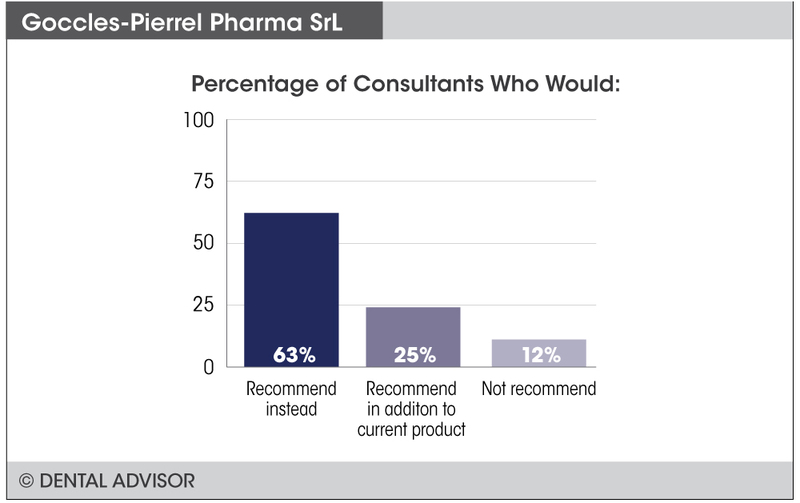 Goccles was evaluated by 8 consultants and used 157 times in total. Autofluorescence of oral tissue for oral cancer screening. Screening for oral cancer and precancerous lesions. 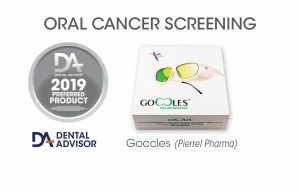 Goccles ® consists of special eyewear equipped with innovative optical filters used in conjunction with a curing light for oral cancer screening. Their use is simple, non-invasive and painless for early screening for oral cancer and precancerous lesions. This technique enables rapid screening in only one to two minutes of internal surface areas of oral mucosa to provide an accurate, non-invasive aid for the detection of dysplasia and malignant lesions. The special optical filter allows you to visualize anomalies. 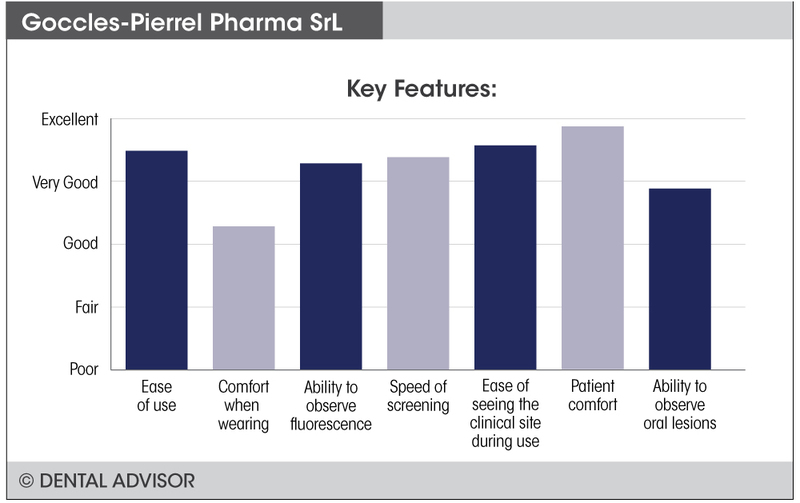 The tissue auto-fluorescence achieved contributes to the detection of the margins of precancerous and cancerous lesions. The complete unit includes the Goccles eyewear, lens cleaner liquid, a micro screwdriver, lanyard, fabric case and instructions for use. Goccles does not require the use of any after-market products such as mirrors, sheaths, rinses, band filters and safety glasses, which means that there are no after purchase costs.